Everyone’s getting ready for the big countdown to Euro 2012 and the boy’s in green are polishing up on their Polish, I’m sure. While most have probably booked their trip, some may decide to pack their bags last minute and head to Poland for a match or simply to soak up the atmosphere. Tomorrow on Today FM I’ll be talking with Anton Savage about the Euro 2012. Damien Moran, author of The Irish Fans Guide to Euro 2012 will be giving tips on what to do when you get there and I’ll be advising on the best ways to travel there and what deals are still around. Tune in at 12:30pm tomorrow, Sunday 13th May. Below is some of the information I’ll be chatting about. 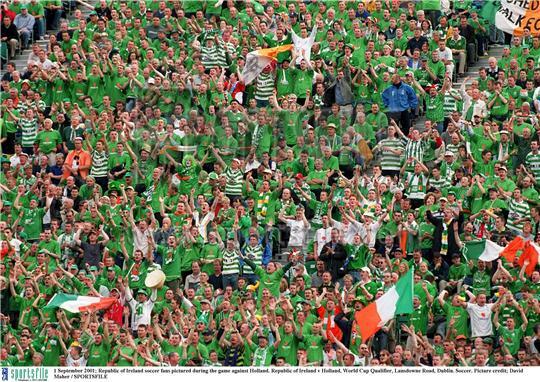 Ireland’s first match kicks off in Poznan, an industrial city that recently invested in a sparkling new stadium. Despite being quite industrial it does have a beautiful, old city centre, an attractive town hall and a good selection of restaurants and bars. Wizzair fly from Cork direct flights into Poznan, as do Ryanair and at the moment flights are around €450. Ryanair fly into nine cities in Poland so there are a number of indirect routes that you can choose from and most cities have train links to Poznan. Many are considering flying into Berlin and will then take a train from central station to Poznan, which, depending on the train you take, is just over 3 ½ hour journey. The more adventurous may choose to get a boat from Ireland to Cherbourg, France and then drive the 1000 or so kilometres across Europe to Poland. There is a range of accommodation available to visitors, everything from hostels, guesthouses, B&B’s, hotels, serviced apartments and campsites. There are 2 or 3 lakes on the outskirts of the city and these have campsites where you can pitch a tent, pull up in a campervan or some even have basic rental accommodation. Some people will fly into Germany, hire a campervan and use that as the accommodation. Just be sure when you’re booking that you are able to drive into Poland and your insurance will cover you there. With Berlin just being less than a 4 hour train journey some will opt to make that their base where there are endless accommodation options. A company comprising of people who have joined together to rent out their apartments, houses or rooms in their homes will arrange accommodation for people http://www.polandaccommodation.eu/ offering reasonably priced accommodation in and around the Poznan and Gdansk. Poznan has a lovely main square with an attractive town hall, a number of museums and pretty, brightly coloured narrow houses lining its streets. The city also has some attractive parks and is located in the lake district. There are a number of both natural and artificial lakes a short drive away where you can swim, fish take a boat out and enjoy the warm summer. There is also the Greater Poland National Park south of the city which has over 85kms of parkland. Walk along forest trail, take a boat out to the ruins of an ancient castle and escape the football hype! While the outskirts of the city are home to thriving shipyards, the port city of Gdansk has a stunning historical city centre, reminiscent of Prague with cobbled street, handsome merchantile houses and church. It is bursting with bars and restaurants. It was once the wealthiest city in Europe and many of the buildings in the centre are being restored to their former glory. Gdansk has more of a range of accommodation than Poznan, with everything from hostels, guesthouses, B&B’s, hotels, serviced apartments and campsites. -Discounts for staying at the tent campsite over 7 days: 5%. Cheap and cheerful Hostel przy Targ Rybnym has wonderful views over the quay and is said to be one of Poland’s best hostel. Wander the beautiful city centre, visit the galleries, enjoy a beer overlooking the quay and visit what is said to be the world’s biggest brick church, St Mary’s Church, which houses and enormous astronomical dial dating from the 15th century and 31 chapels. Gdansk has a thriving arts culture and there are a number of great theatres and an opera house. 45km south of Gdansk is the fairytale castle Malbork Castle, with a stunning riverside location and is well worth visiting. Those wanting to get away will head to the long, sandy beach at Sopot, a popular beach resort, with a bit of a Brighton feel about it. A buzzing nightlife, pretty beach and plenty of accommodation, people may opt to bring their families along for a beach holiday while they slip away to the match. With Poznan around 340kms away, it can be done in a day trip, using Gdansk as your base. 10 Night packages taking in the 3 games at €2400 euro pp sharing , this Package includes Cat 2 tickets to all 3 games ,Hotels, flights, transfers , and taxes. Also have shorter trips available.